Work has started on site this month on the new head office for the National Bank of Oman in Muscat. The 40,000sqm mixed use development is located opposite the Grand Mosque on the Sultan Qaboos Expressway, and is designed as a contemporary Omani landmark reflecting the landscape, architecture and culture of Oman. 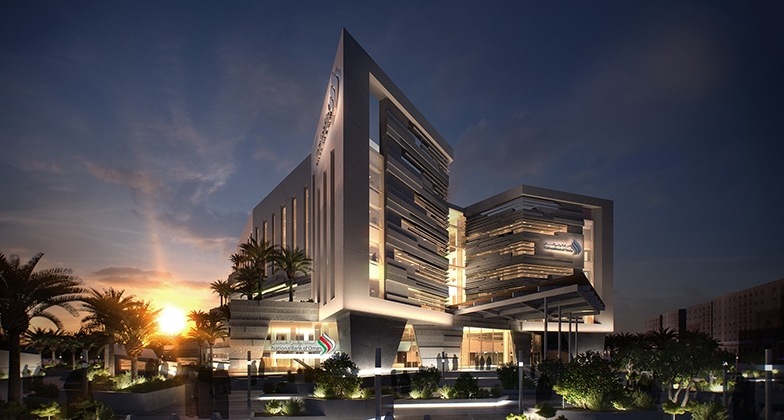 The building will provide high quality office space, a large head office bank branch and a striking internal atrium inspired by Oman’s dramatic wadi gorges. Piling and excavation work is now underway, with the building due for completion and occupation in early 2017.